Republicans have insisted on a legislation to fix the so-called Hirst court decision before passing the capital budget. That 2016 state Supreme Court ruling effectively restricted some new household wells in rural areas. A deal reached by top state lawmakers on a rural water dispute paves the way for approval of more than $4 billion in new school and other construction projects, officials said Thursday. Republican and Democratic leaders reached a negotiated agreement earlier this week on the water dispute and the two-year capital budget, said Rep. Larry Springer, a Kirkland Democrat. House Minority Leader Dan Kristiansen, a Snohomish Republican, told TVW’s “Inside Olympia” that a bipartisan deal was reached late Wednesday and Gov. Jay Inslee, a Democrat, has agreed to sign that bill. The state Senate was scheduled to vote on the water bill, Senate Bill 6091, and the capital budget Thursday night. The House is expected to take up the measures after the Senate votes. New money for local water and sewer projects, school construction, mental-health facilities and other construction across the state have been on hold since lawmakers adjourned last year without approving the capital budget. Republicans had insisted first on getting legislation to fix the so-called Hirst court decision. That 2016 state Supreme Court ruling restricted new household wells in certain rural areas if they affect water in streams for fish or other senior water rights. The negotiated deal would allow landowners in rural areas to tap household wells — more commonly known as permit-exempt wells — while newly formed local committees come up with longer-term watershed plans, said Springer, a key negotiator on the water issue. Those plans must outline how to offset potential effects to rivers from those wells. The proposal includes $300 million over the next 15 years for projects that improve stream flows and restore watersheds, Springer said. Examples include reconnecting floodplains, buying water rights or other improvements. The deal would also allow counties to rely on the Department of Ecology’s water rules as they had before the Hirst decision. In its 6-3 ruling, the state’s high court said counties must make its own independent assessment of water availability before issuing building permits. Many counties said they didn’t have the resources or expertise to do the kinds of studies that would have been required under the ruling. Sen. Judy Warnick, a Moses Lake Republican, said last week that the issue is simply about helping people who want a well for their home. Property owners have provided emotional testimony in Olympia, recounting how they spent thousands of dollars to prepare lots to build homes or to dig wells but weren’t able to get building permits. Building, real-estate and property-rights groups and other critics said the economic impact of the court ruling were staggering to rural communities, from declining home values to stalled building. 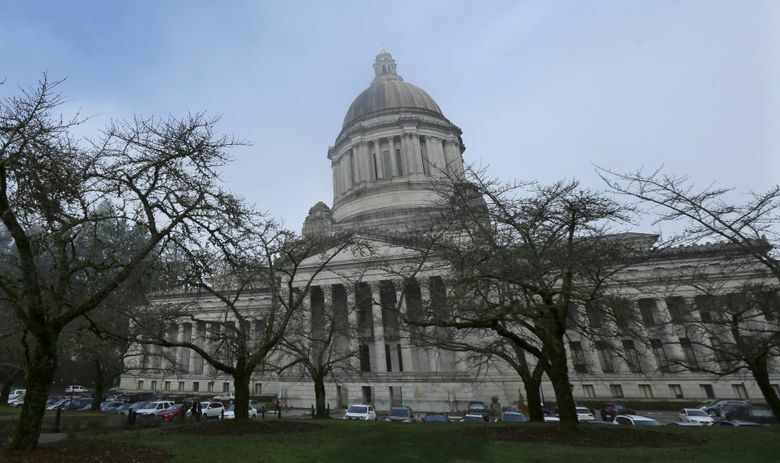 The Building Industry Association of Washington supports the bill as proposed. “It will provide certainty for local permitting authorities and as a result builders and property owners,” said Jennifer Hayes, the group’s spokeswoman. Environmental groups and several tribes across the state maintained that the Hirst decision correctly required local governments to plan ahead so new water withdrawals don’t take way from water in streams or from those with senior water rights, including tribes, municipalities and farmers. “The state does a horrible job with managing water and they’re not improving things with this bill,” Daryl Williams, a natural-resource consultant for the Tulalip Tribes, said Thursday. The bill provides some money for watershed restoration, but he said when that money is spent, people will build without concern for impacts to the watershed. Bruce Wishart with the Sierra Club said environmental groups have concerns about the latest version of the bill, including an emphasis on mitigation projects that won’t return water directly to streams. Under the proposal, Springer said that landowners who already began drilling wells would be grandfathered in. Until new watershed plans are approved, landowners who want to access a domestic well would pay a $500 fee. The amount of water they could withdraw would vary depending on the watershed basin. People with wells in some areas would be allowed to take 950 gallons a day, while others would be allowed 3,000 gallons a day.